If you're like me, you have so much random crap scattered throughout your garage, that you can't even park your car inside of it. If only there was somewhere to put it all... 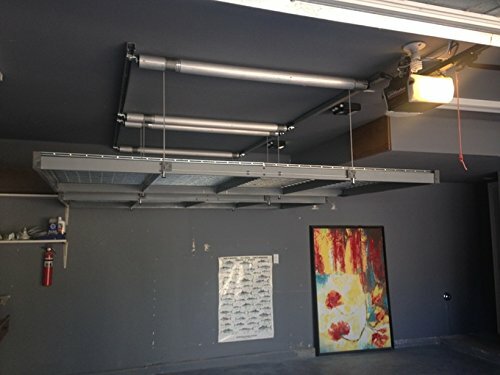 The Aux-Lift is a remote controlled storage lift that you can install to the ceiling of your garage so that you can easily store and access your stuff with just a remote. 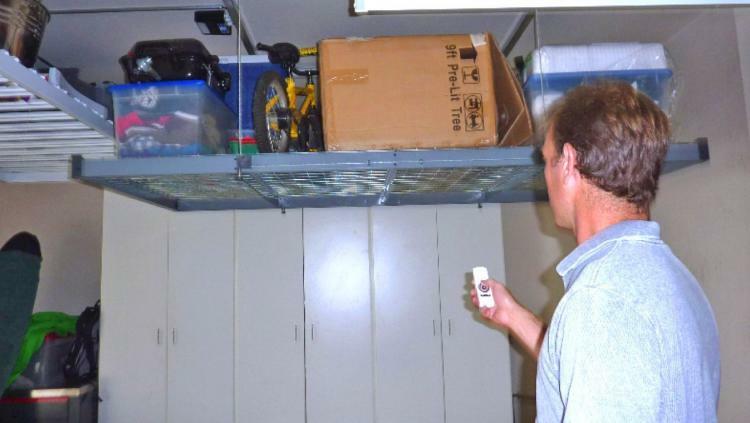 Perfect for basements or garages, the Auxx-Lift uses a motor to raise and lower your stuff that you can control from a remote control. 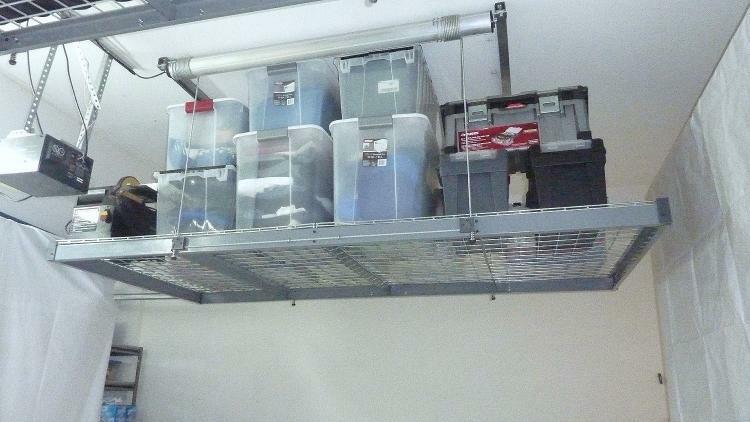 This means no more ladders to access your storage areas and rafters, and no more crap scattered throughout the floor of your garage. 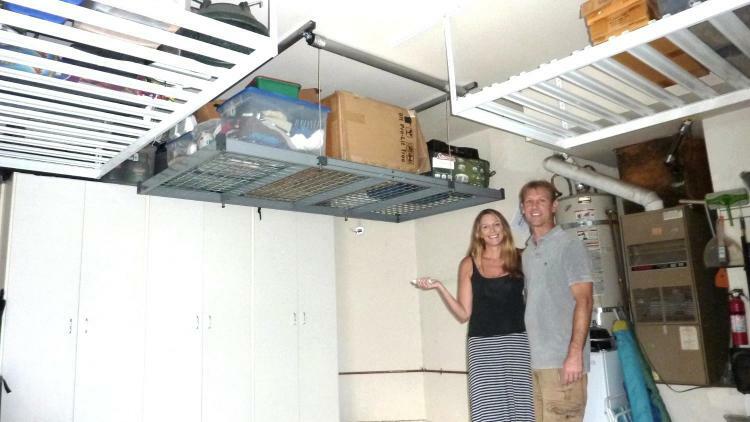 The motorized storage lift is able to support up to 400 lbs of weight on its platform, is super easy to install, is able to lock at any height needed, provides up to 32 square feet of additional storage space, and will minimize, simplify, and de-clutter your basement or garage. 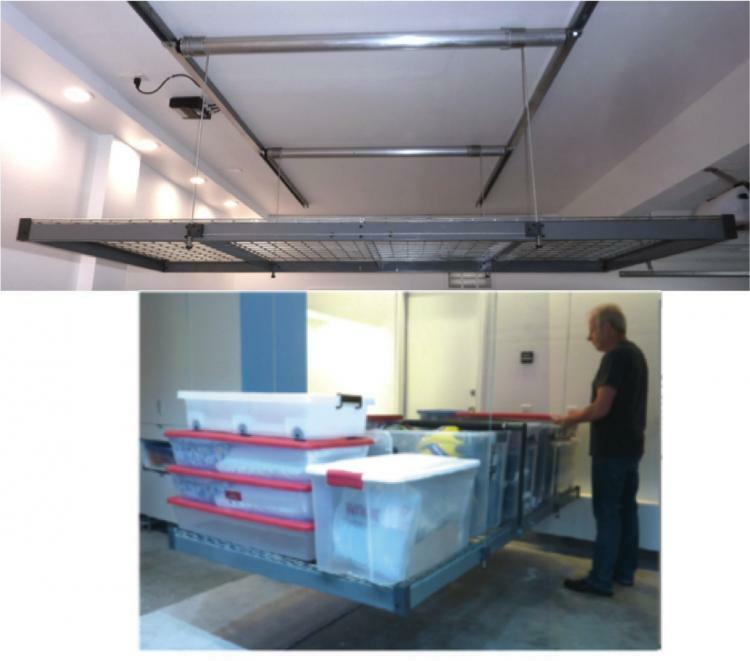 The Auxx-Lift uses a 1/2 HP motor to raise and lower the storage platform, the platform measures 8 feet x 4 feet, and includes support beams, a platform, silver motor shelves, a motor, a remote,and vinyl coated steel cables. 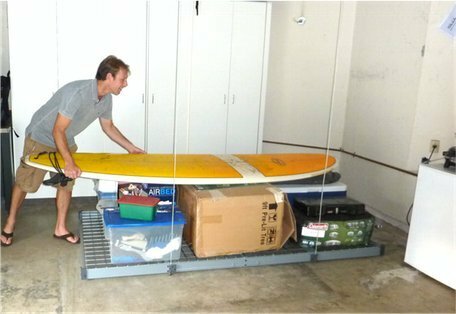 Check out the Auxx-Lift remote controlled motorized storage lift in action via the video below.